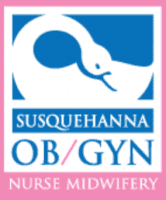 Susquehanna OB/GYN and Nurse Midwifery provides modern and compassionate reproductive healthcare to the women of northeastern Maryland and southern Pennsylvania with a board certified and highly trained physicians, nurse midwives and nurse practitioners. Offering two full-time offices located in Havre de Grace and Bel Air, Maryland, Susquehanna OB/GYN provides the comprehensive and compassionate care you need, with solutions and preventative healthcare options for every stage of your life. Upper Chesapeake Medical Center in Bel Air, Maryland. Please visit Patient Education for more information about procedures and other women's health questions. Our patients choose to see physicians, nurse practitioners or midwives for gynecologic care. The nurse practitioners and midwives perform routine checkups and exams while the physicians also address more complicated issues and perform surgeries. Providing maternity services that surpass your expectations, Susquehanna OB/GYN focuses on guiding you through this important stage of you and your baby's life. Maternity patients see either the "doctor group" or the "midwife group" for prenatal care and delivery, depending on personal preferences and medical needs. Visit http://www.smilemonalisa.com/ for more information.